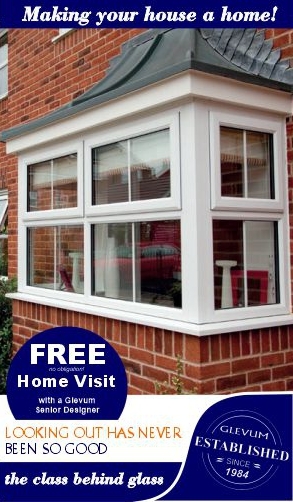 Glevum are one of the largest independent installers of conservatories, doors and windows in the south-west. A family-run firm, we have worked with customers for over 30 years to enhance and protect their homes with our high-quality range of products installed by our experienced team. We pride ourselves on our attention to detail and much of our business comes from recommendation. More than 40,000 customers throughout Gloucestershire and beyond now benefit from the security and quality of Glevum doors, windows and conservatories. Whether you are looking for a brand new conservatory, replacement windows or advice on how double-glazing units can help with your energy bills, Glevum has the experienced team to help you. From design through to installation, we treat your home with as much care as if it was our own; our installers tidy up every day and our dedicated aftercare service team are there to advise you on your new uPVC doors and windows. We use only the highest quality uPVC product range, made locally in Tewkesbury by Duraflex, one of the largest extruders of uPVC profile in the UK. Supplying products for more than 20 years, Duraflex complements Glevum’s experience and reputation for trust and customer service. Glevum also has a range of additional products and services for home security, home improvement and home furnishings. Many of our conservatories are on show at our extensive Glevum Conservatory Village and Home Centre near Broadoak in Gloucestershire, along with many of our wider product ranges. The Glevum Conservatory village is the largest in Gloucestershire with our customer advice team on hand to help you make the right decision for your home. Glevum supply and install windows, doors and conservatories for many local and national housebuilders and developers including David Wilson, Taylor Wimpey, Persimmon Homes and Croudace. Our experienced and reliable installers have an excellent reputation. We also design and build premises for motor dealerships using a combination of our experience with installing high performance windows and our construction expertise. For your confidence and peace of mind, Glevum are members of a number of trade associations and quality standards bodies, assuring quality of product, installation and service. You can read more about these schemes and what they mean for you here. Glevum – an award winning company! Whilst customer satisfaction is our primary measure of success, Glevum also has an impressive track record when it comes to winning awards. Over the years we have won many business and industry awards including Conservatory Installer of the Year for the whole of the UK. 2017 saw Glevum pick up two regional awards. 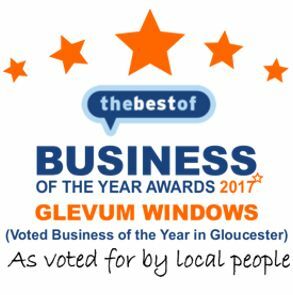 In April, Glevum won the Best Of Gloucester Business of the Year Award and in October, Glevum won the prestigious Business of the Year Award in the Gloucestershire Business Awards (which are the largest awards of their kind in the country).